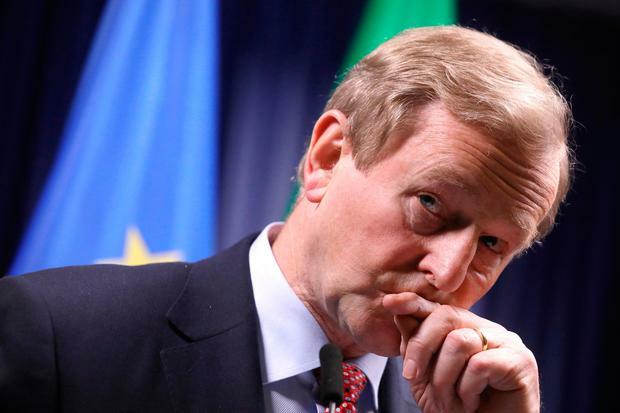 Taoiseach Enda Kenny has described the Manchester bombing as an attack on "innocence and happiness". Speaking on RTE's Morning Ireland programme, Mr Kenny said the country's sympathies are with the victims of the Manchester bombing and they will offer any support they can to the British government. He condemned the attack, calling the suicide bomber "depraved". "Obviously people went to a concert last night to enjoy themselves, to have a really good time, and so many will not come home," he said. "What sort of depraved mind would have a fix on this, and go to a situation where a young American singer entertains 18,000 people, the vast majority of whom are teenagers and young people, and has then scarred their lives forever," he said. "Our ties with Manchester are so strong. Obviously this is so dear and close to us all, so it is a very tragic time for the families involved. It is a very tough time for the British Government and we will support them in offering assistance in whatever way we can," he added. “There are no reports of any Irish casualties yet. "There is such a preponderance of an Irish community, an Irish thread through the life and soul of Manchester, but as of now we don’t know. "The lines have been open all night to the Irish embassy in London. My office were on to Ambassador Mulhall this morning, and obviously the Minister for Foreign Affairs will keep this situation very closely monitored," Mr Kenny explained. He said there are no plans at the moment to raise the alert level in Ireland in the wake of the latest terror attack. "Not yet, but when I speak to the Commissioner later this morning I’ll have the latest up to date situation here. We had a security briefing with myself and the Tanaiste and Garda Commissioner and her people quite recently. "They are monitoring the situation very closely and there has been no change in the level of security, but that is a situation that is constantly under review here," he said. He said he was confident Ireland is prepared in these security situations. "The gardai and the security forces have close detail on a very small number of cases here. This is monitored on a very detailed and ongoing basis," he explained. "Obviously different and varying options that might arise are always considered, so that’s why we keep in touch through the Minister for Justice and the Garda Commissioner and the security arrangements to see that they are up to date and as best we can be," he added. "We share information with them (Britain) on a very regular basis," he said, adding that in the latest situation a "suicide bomber with a depraved mind slips through that net and has left a trail of destruction and tragic waste behind him". He confirmed his office is not aware any Irish casualties at present. Meanwhile, Justice Minister Frances Fitzgerald also released a statement this morning, describing the attack as "savage". "This savage and shocking attack was aimed at people simply going about their lives out for a night's entertainment," the minister said. "There have always been close ties between people here and in Manchester and we stand in solidarity with our neighbours in the United Kingdom at this time of great loss. "I know from speaking with the Garda Commissioner this morning that there is close liaison between An Garda Síochána and their UK counterparts about last night's dreadful events and this is taking place against the background of intensive ongoing cooperation with international security agencies. "While there has been no change to the security assessment here and no specific information about a threat to us, last night's attack is a reminder that no-one can be considered immune from those whose hatred of our values drives such evil acts. "The Garda Síochána, together with their colleagues in the Defence Forces and their international security partners, will continue to take all necessary measures to counteract such deadly threats," she added. Meanwhile, Archbishop Eamon Martin said this morning he is praying for "the dead, the injured and for all affected by the bombing." Fianna Fáil TD Michael McGrath said he was in Manchester with his sons yesterday for a football match. He expressed his “deepest sympathies” to the victims of the bombing at the concert. “It really is impossible to get your head around what happened there last night. 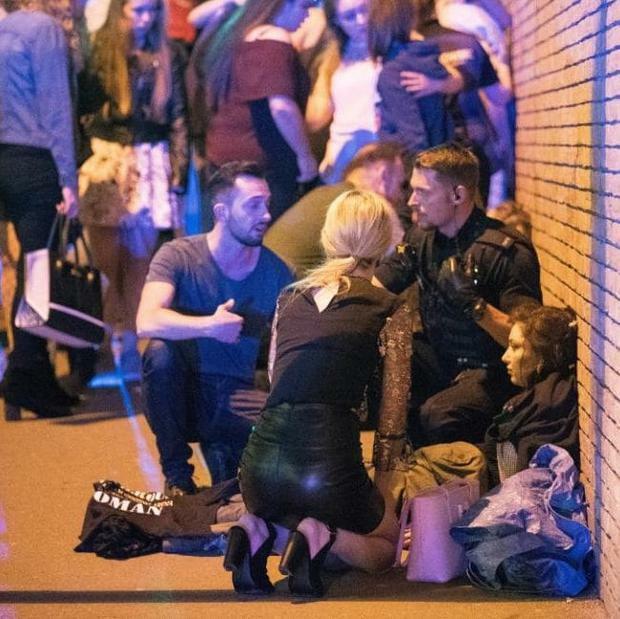 "I was in Manchester over the weekend as it happens with my own sons, just taking them to a football game as a Holy Communion treat and came back late last night and turned on the TV and learned the news of what had happened. He said he is “very shocked and deeply” sadden but the terror attack which he described as “an abominable event”.